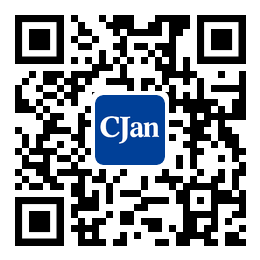 ﻿ Food Hose CIP Cleaning System - CJan Fluid Technology Co., Ltd.
Food grade hose CIP commonly used in place cleaning system is widely used in the food production enterprises with high degree of mechanization, such as beverage, dairy, fruit juice, wine and so on. In situ cleaning referred to as CIP, also known as cleaning positioning or cleaning. In situ cleaning is not to disassemble or move the device, that is, the use of high temperature, high concentration of cleaning liquid, the device to be strong, the contact with the food method. Food grade CIP can guarantee a certain cleaning effect, improve the safety of products, save operation time, improve efficiency, save labor, ensure operation safety, save water, steam and other energy, reduce the amount of detergent, production equipment can realize the large scale, high automation level, and extend the service life of production equipment. The main mechanism of CIP cleaning is to add the chemical reagent, which is the most important factor to determine the washing effect. General manufacturers can be based on the nature and extent of pollution of the object, composition, water quality, the selection of the method, Cheng Benhe safety and other aspects of the use of detergent. Commonly used detergents are acid, alkali detergent and detergent. The advantages of acid and alkali detergent are: can kill all the microorganisms, the removal of organic matter is better. Disadvantages are: the skin has a strong irritant; water washing. Sterilization agent has the advantages that: the sterilization effect is rapid, is effective for all microorganisms; the general non-toxic; not affected by water hardness; the formation of film on the surface of the device; the concentration is easy to determine; easy measurement; can remove the stench. Disadvantages: a special flavor; the need for certain storage conditions; different concentrations of bactericidal effect of big difference; low temperature freezing; improper usage will cause side effects; mixed with dirt, the bactericidal efficacy decreased obviously; floating down easy environmental contamination and leave traces. Acid in the acid and alkali detergent refers to the use of 1% - 2% - 3% - 1% - 65 - 80. As the chlorine disinfectant sterilization agent frequently used, such as sodium chlorite. The higher the temperature is, the smaller the viscosity coefficient is, the greater the Reynolds number (Re) is. Temperature rise usually can change the physical state of the dirt, accelerate the chemical reaction rate, while increasing the solubility of dirt, easy to clean the impurities solution off, so as to improve the cleaning effect, shorten the time of cleaning. The size of the movement can be measured by Re. The general standard of Re is: from the wall of the thin liquid, the trough class Re > 200, the pipe type Re > 3000, and Re > 30000 effect is best. The dissolution of water is a polar compound, which has a little effect on the oil and dirt. It has a certain effect on carbohydrate, protein and lower fatty acid. The action of a machine, such as the pressure and friction caused by the stirring, the spray cleaning fluid, etc.. The influence factors of the cleaning effect, the pollution degree, the nature of the pollutants and the production process of the product are the main reasons for the cleaning effect. If the condition of CIP is not determined by the characteristics of the cleaning, it is difficult to achieve the ideal goal or result in the high cost of cleaning. Detergent type of the current food industry application of a lot of cleaning agent, the main acid and alkali, etc., which is the most widely used sodium hydroxide and nitric acid. Alkali detergent on the higher protein containing dirt has a good removal effect, but the food rubber gasket, etc.. Acid detergent can not remove the alkaline cleaning agent has good effect, but the metal has a certain corrosive, should be added some anti corrosive agent or use clean water rinse. Cleaning agent and surface active agent, chelating agent, etc., but only in special need to use, such as cleaning water hardness is higher when using chelating agent to remove metal ions. When the concentration of the cleaning agent can be improved, the cleaning time can be shortened or the cleaning temperature can be reduced. The higher concentration of detergent can cause the increase of the cost of cleaning, and the increase of the concentration is not necessarily to be able to effectively improve the cleaning effect, so it is necessary for the manufacturers to determine the appropriate concentration according to the actual situation. The temperature of the liquid is usually 10, and the chemical reaction rate will increase 1.5 to 2 times, and the cleaning speed can be improved. Cleaning temperature generally not less than 60. Cleaning time is influenced by many factors, such as type, concentration, cleaning temperature, product characteristics, production line layout and equipment design. Cleaning time must be appropriate, too short can not effectively remove dirt, too long, waste of resources. 1 wash 3 - 5 minutes, at room temperature or 60 or more of the hot water; 10 - 20 minutes, 1% - 2%, 60 - 80, 5 - 10 minutes, 60 - 3 - 5 minutes, clean water. 2 wash 3 - 5 minutes, at room temperature or 60 or more of the hot water; 5 - 10 minutes, 1% - 2%, 60 - 80, 5 - 10 minutes, 60 - 10 - 20 minutes, 90. The flow rate of the flow is in fact in order to guarantee the flow rate of the cleaning fluid, so as to produce a certain mechanical effect, that is, through improving the fluid turbulence to improve the impact force, to achieve a certain cleaning effect. 1, smell: fresh, no smell, for a special treatment process or special stage allow a slight smell but does not affect the final product safety and quality. 2, vision: clean the surface of light, no water, no film, no dirt or other. At the same time, after the CIP treatment, the production capacity of the equipment is changed obviously. Health indicators to meet the requirements of microbial indicators; can not cause other health indicators to improve the product. Economy in the same time to meet the conditions of cleaning, the cost is an important factor to measure the effectiveness of cleaning. Operation of CIP must be relatively safe, convenient, etc.. With the continuous improvement of food production mechanization and automation, CIP system has been widely studied and applied, at the same time, the scientific progress and the market continues to regulate, it will continue to increase the popularity of food production. 1. the purpose of the CIP cleaning operation procedures, maintenance of equipment to ensure the production of continuous normal. 3.1 cleaning sequence: 40, 2%, 40,, 0.8%, 90, above water, followed by washing. 3.2 wash and record according to the specified time. 3.3 water content of about 80%, that is, to cover the heating coil. 3.4.1 before cleaning the concentration, not enough to add appropriate amount. 3.4.2 according to the degree of acid and alkali pollution, determine whether to re preparation. 3.5 correct connection for the import and export. 3.6 often check the water delivery device to prevent obstruction. 3.7 check the pipeline, the valve is no mistake, the side can start the centrifugal pump for cleaning. 3.8 when using acid and alkali cleaning, after cleaning, open the back of the pump, so that the acid and alkali respectively into the acid tank, alkali tank. 3.9 wash with water at last. 3.10 test paper is neutral can be.